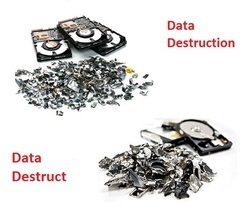 Our range of products include data destruction, data destruction equipment, document shredding, hard drive degassing service, degaussing services and degaussers. Brand Shredders and Shredding Co.
We are here to provide A1 destruction services. We have a big plant for destruction and use the high-quality destruction machine who destruction data securely without any delay. You can trust SASCO to provide you with data destruction equipment that will guarantee that confidential data, in the form of paper or computer hard drives, remains confidential and unrecoverable. 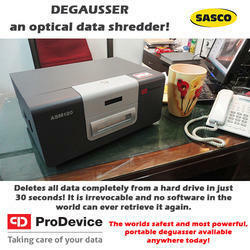 SASCO shredders process all kinds of files: documents, swipe cards, information on CDs, DVDs, hard drives, footage or tape. The material can be shredded in a single-stage or two-stage process in order to reach your desired security goal or particle size. You can contact us if you require this type of machine and your needs will be fulfilled. 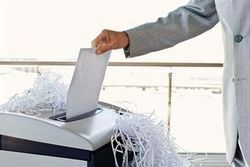 Paper Shredding and Document Shredding Services tailored to your needs.The average office worker still uses over 10,000 sheets of copy paper every year. And from financial reports to performance reviews, a lot of that paper ends up in waste cans and recycling bins. In the wrong hands, confidential information can lead to theft, fraud, or identity theft. SASCO Document shredding is one of the leading paper shredding company. Contact us for document shredding and we will provide you with machines for purchase as well as hire. We serve all INDIA , any number of hard drives can be degaussed onsite. Safe , powerful machine, reports and certification after completion of the job. Call now to know more. We provide the best degaussing services in all over India with satisfied cost. 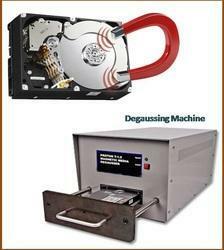 We degauss Hard drive with secure.